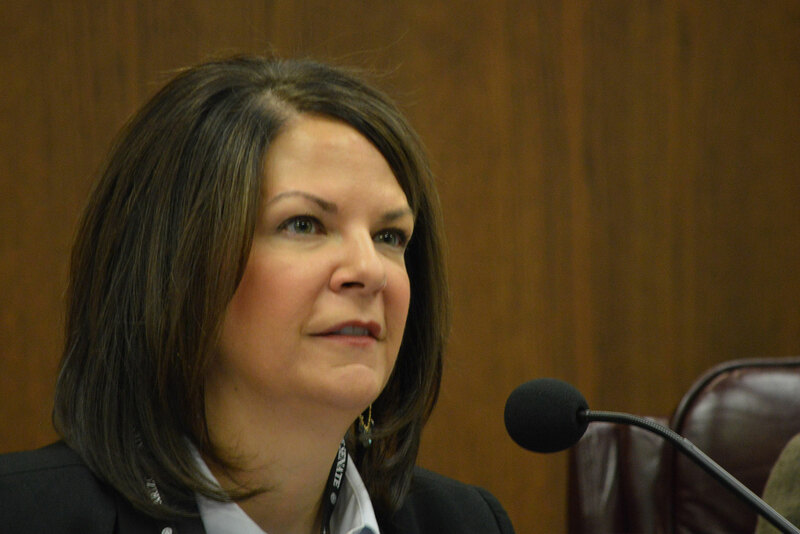 The Senate Education Committee advanced a bill Thursday that would remove any role for the superintendent of public instruction in helping oversee or recommend the State Board of Education’s staff. Contained in an amendment to a bill that would expand the Board of Education, the proposal would strike provisions of state law saying that the board employs staff on the recommendation of the superintendent and that the superintendent directs the work of board employees. 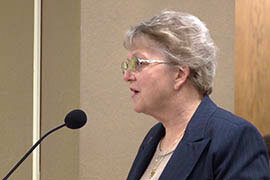 Sen. Kelli Ward, R-Lake Havasu City, the committee’s chairwoman, offered the amendment two weeks after Superintendent of Public Instruction Diane Douglas and Gov. Doug Ducey sparred over Douglas’ decision to fire the Board of Education’s executive director and assistant executive director. When Ducey said Douglas lacked the authority to fire the employees, Douglas fired off an acid response and said she wanted the Legislature to clarify her role. If HB 2184 becomes law, that clarity would reduce her role, down to Douglas no longer approving claims for board members’ travel expenses. While Douglas has said she should have authority over board staff, she told the committee she supports the bill because it would prevent costly legal action. The committee unanimously advanced the bill, authored by Rep. Paul Boyer, R-Phoenix, which also would expand the board from nine to 11 members to include the owner or administrator of a charter school and an additional lay person. Several people registered their objections to Ward’s amendment, saying it would strip an elected official of the power to oversee education in Arizona. 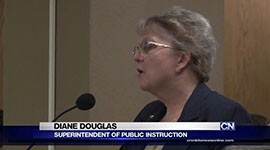 Beth Hallgren, a state committeewoman in Pinal County, said the current friction between Douglas and the Board of Education keeps everyone involved from having best interests of parents and children in mind. “By allowing this to take place, the State Board of Education does not answer to the voters they are supposed to serve: the parents and the children,” she said. Clair Van Steenwyk, a Republican who has run unsuccessfully for the U.S. House, U.S. Senate and state House, said that by acquiescing to the bill’s provisions, Douglas is joining lawmakers and the Board of Education in failing to look after the interests of voters. Ward said after the hearing that her amendment doesn’t take too much power away from the superintendent of public instruction. Superintendent of Public Instruction Diane Douglas and Gov. Doug Ducey may have finally come to an agreement, which comes after a public battle over who has the power to fire employees of the Board of Education. Douglas is publicly supporting a Senate effort to clarify the rules. Sen. Kelli Ward, R-Lake Havasu City, chairwoman of the Senate Education Committee, introduced an amendment Thursday that would write into state law that the superintendent of public instruction doesn’t have authority over staff members of the State Board of Education. Superintendent of Public Instruction Diane Douglas tells the Senate Education Committee she supports a bill that would give her no oversight of State Board of Education staff members.